Coming off back-to-back silver medals in the past two provincial championships, Wolves runner Jamie Wigmore finally captured the big prize Saturday with an emphatic victory in the 2015 ACAC Cross Country Running Championship in Lethbridge. Wigmore took the lead at the 400m mark of the flat and fast 5 km course, gradually built up a 150m gap, and then cruised to victory in a time of 18:40, 33 seconds better than 2012 ACAC champion Mariya Jenkins of Concordia University. Lethbridge College’s Emily Lucas placed third. 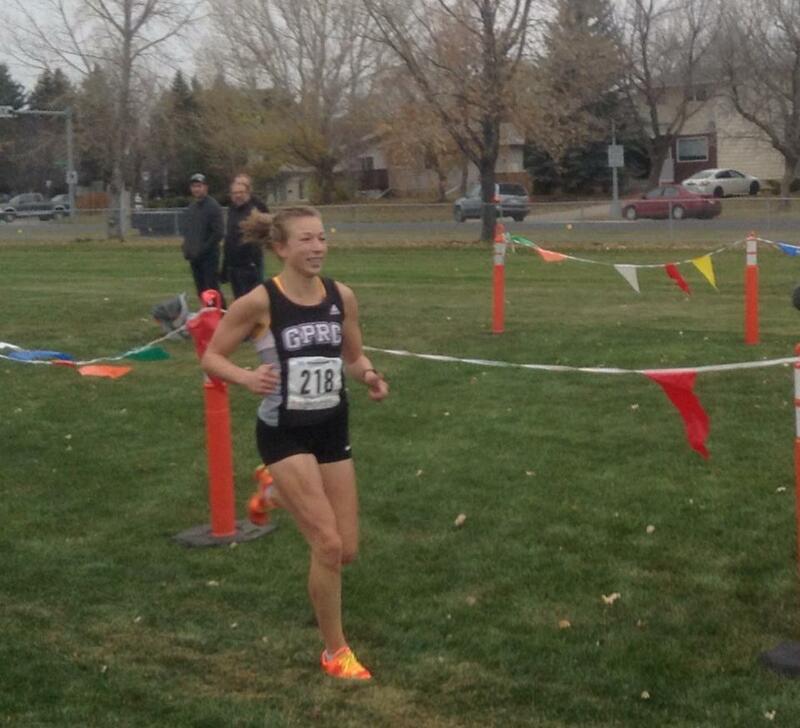 With her victory, Wigmore becomes only the third GPRC women runner to win an ACAC individual championship. Tara Lee Stillwell took the top spot in 1999, and Mirelle Martens took gold last year. In a very close team competition, the Wolves women placed fourth with a team score of 50, a mere 3 points shy of the bronze medal and only 18 points out of the top spot. Lethbridge College, Concordia University, and Red Deer College placed 1-2-3 respectively. The other Wolves women finishers included Maria Houle (8th), Christie Shepherd (20th), Kirsten Manz (24th), Ashley Camsell (25th), Emily Whalen (46th), and Tamica Campbell (51st). Brandon Wladyko led the GPRC men with a 7th place finish. Joel Demarcke finished 15th, Josh Malmsten recorded a 22nd place mark, and Kyle Murray was 37th. Collectively, the Wolves men were the 5th place team behind the winning Lethbridge College. Later on Saturday afternoon, the ACAC gave out its cross country season’s awards. Wigmore was named ACAC Grand Prix Champion and ACAC Female Runner of the Year. Brandon Wladyko and she were also named to the 2015 ACAC All Conference Cross Country Running team. Next up for the cross country Wolves is the 2015 CCAA National Cross Country Running Championships in Brockville, ON on November 14. 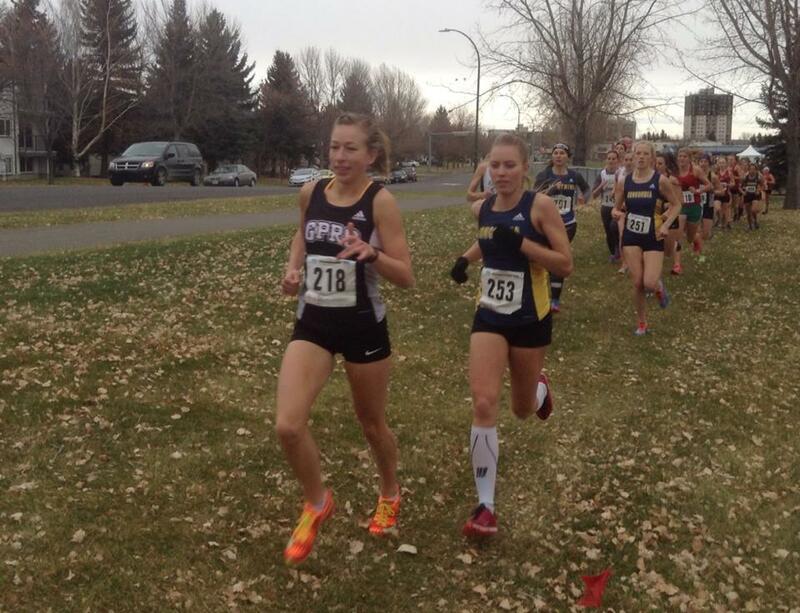 This entry was posted in Cross Country and tagged 2015, ACAC, ACAC Cross Country Running Championships, Concordia University College, Cross Country Running, GPRC Wolves, GPRC Wolves Cross Country, GPRC Wolves X-C Running, Grande Prairie, Jamie Wigmore, Lethbridge College, mirelle martens, Wolves Athletics Club. Bookmark the permalink.